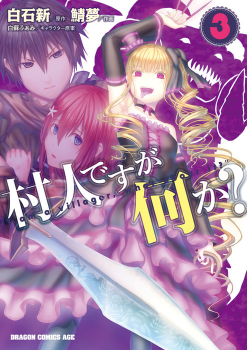 Protagonist Ryuuto died in the modern world, and was reincarnated in a fantasy world where people have specific roles such as “sage,” “fighter,” and “knight”. But Ryuuto is none of these -- instead, he’s a villager! Because of his low stats, he’s fatally poisoned one day...and comes face to face with a dragon! Ryuuto only has one wish he wants the dragon to grant -- to make him stronger! And thus, he’s reincarnated (again) back to the moment of his first reincarnation, and lives life again with one goal -- to become the strongest villager in the land!! not bad this manga. thought it was a different one for the similar cover but it’s interesting! Chapter 238. Page 6, Frieza wants a fruit as well. What happened to his revenge?